Creative Juice: Happy Birthday Dad! You can't go wrong with gears for a man's card! For the base I used a sheet of old ledger paper. 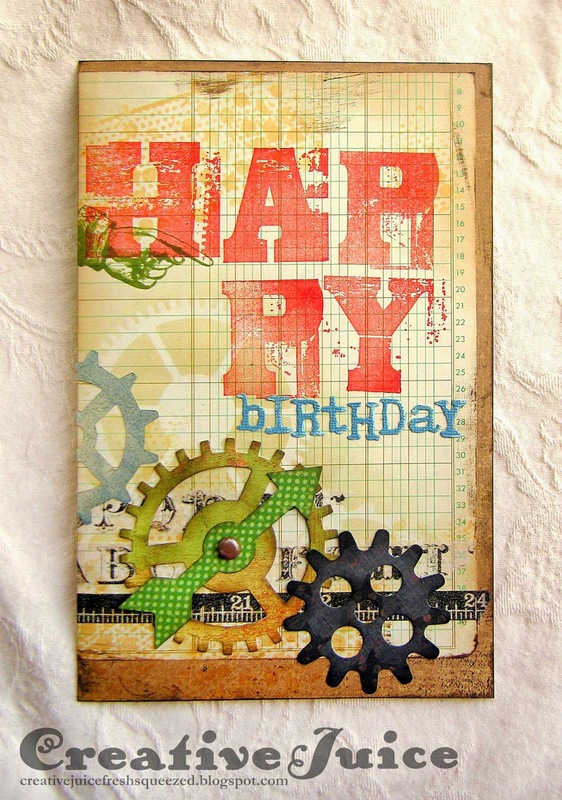 I used the Gears template from Crafter's Workshop and blended Distress Ink through it to add some nice texture on the bottom layer. A little stamping and die cutting and it was done. It's a fairly simple card but I think it is fun and festive. You can find most of the supplies I used to create this card at Inspiration Emporium. Follow the links below and use my code JUICE to save 10% if you go shopping. Thanks!